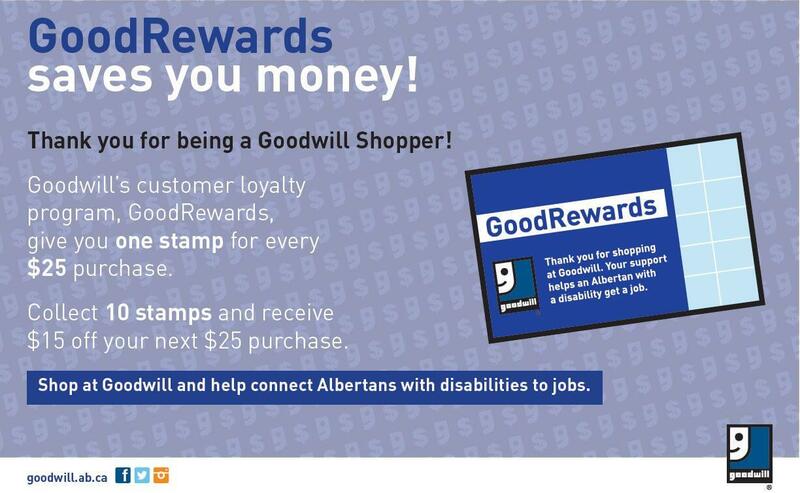 Goodwill Industries of Alberta is an organization based on the triple bottom line of people, profit with purpose and planet. We are in the business of helping people through our mission services, while caring for our planet by reducing our environmental footprint, and generating revenue from our sustainable efforts that help support our mission. The Sustainability Vision for Goodwill’s Sustainability Action Plan will provide the foundation for all the future environmental and social initiatives and programs. 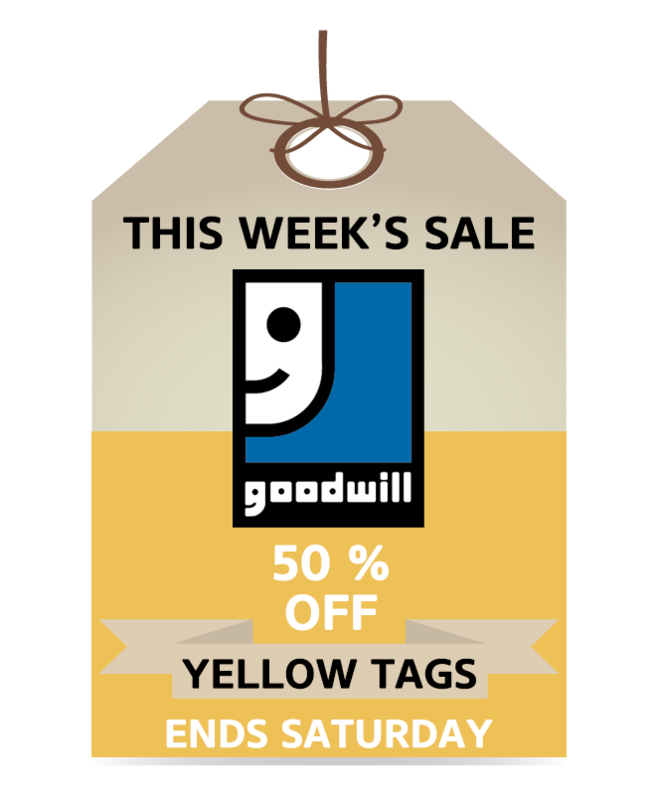 Goodwill is currently diverting from the landfill more than ever before, due to a program that includes the sale of donated items in our retail thrift stores and outlet store, a reuse program, and a rigorous recycling program. Goodwill’s extensive reuse and recycling program includes textiles, shoes, accessories, metal, books, paper, cardboard, toys, electronics (such as cellphones, computers, printers and televisions), toner cartridges, and furniture. Cotton T-shirts and towels that were unable to find a home through our retail stores are brought to our Commercial Services division at the Impact Centre. Here, our team utlize cutting machines to make cleaning cloths out of them. The cleaning cloths are then sold at all of our stores, including retail partners of Hughes Carwash and North Central Co-op. Additional partners purchase cleaning cloths in 20lb boxes for their place of employment from bakeries, to wood working to binderies. 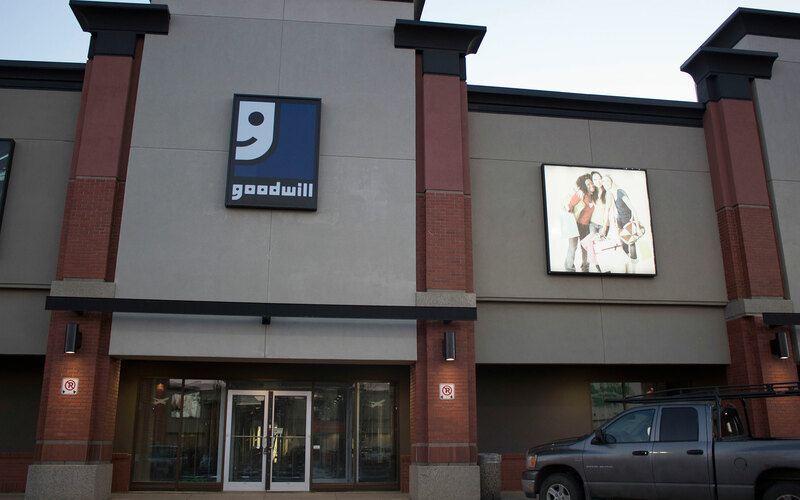 In 2017, Goodwill Industries of Alberta achieved a diversion rate of 78.4%. The goal is to divert 90% from the landfill by 2021. This is the equivalent to 1.8 cars permanently removed from roads = 7.5 tonnes of CO2 and 127.63 gigajoules saved. 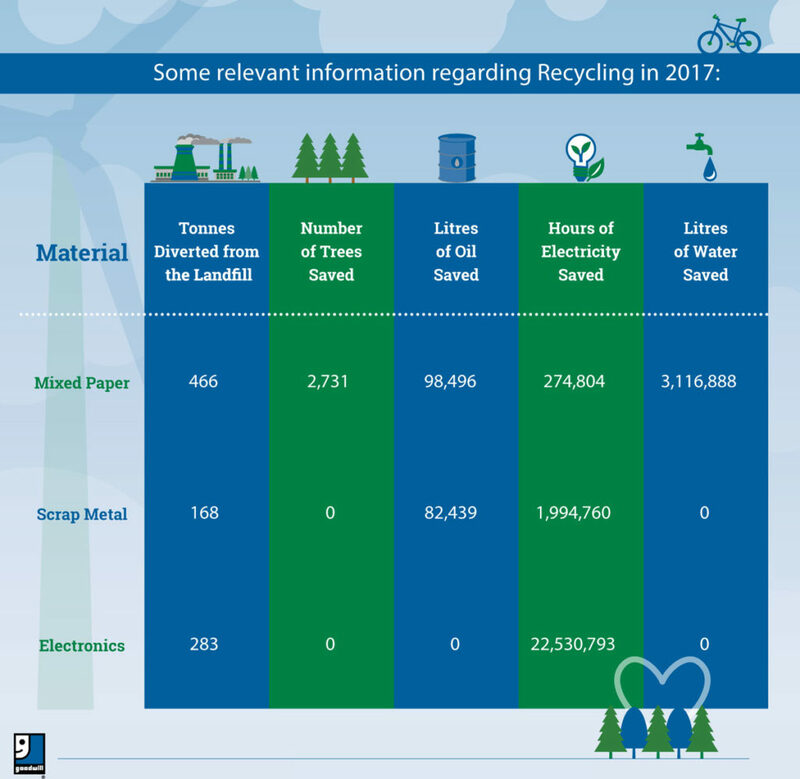 In January 2018, 2 new items were incorporated into the recycling program (plastic wrap and cigarette waste). All stores opened in 2016 and 2017 are equipped with LED, DLC approved lights. The Edmonton Impact Centre has been equipped with motion sensor lights in its warehouse area with the goal of reducing its electrical consumption. As part of the Goodwill Industries of Alberta Sustainability Action Plan, all new buildings and renovations will have to comply with energy environmental standards. The Edmonton Impact Centre is an innovative concept that brings different community partners together to forge synergies with the goal of supporting Albertans with disabilities, and to address some of the most concerning environmental issues that our communities are currently facing, such as the excess of items in good conditions being dispose of at the landfill. 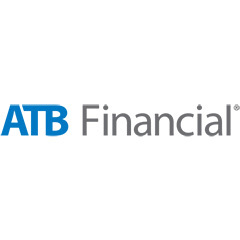 Great examples of these partnerships with Goodwill includes: College HUNKS Hauling Junk & Moving, the University of Alberta and ATB Financial. The partnership between College Hunks and Goodwill consists in the donation of furniture, electronics, metals, among other items to Goodwill. 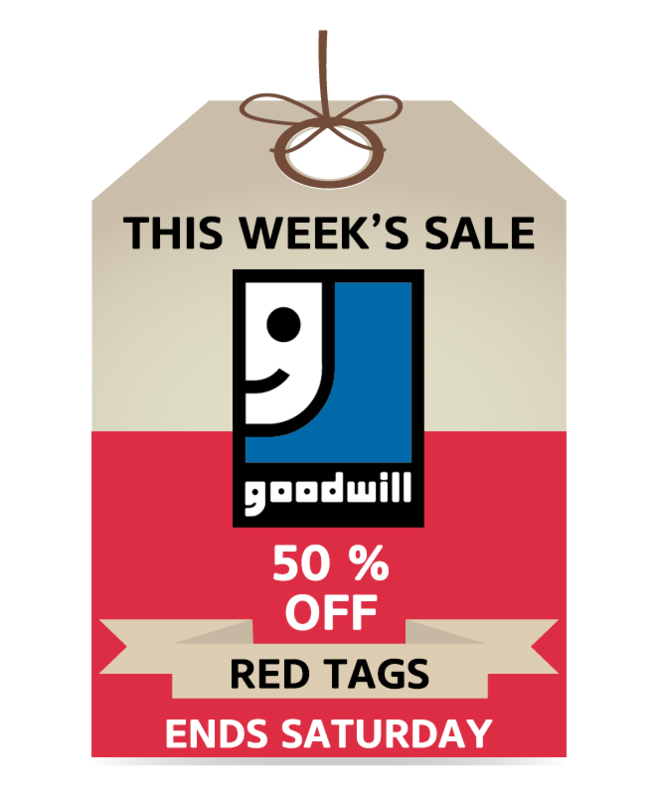 These donated goods are given a second life at the retail stores, and outlet store or finally through the Goodwill Reuse and Recycling Program. 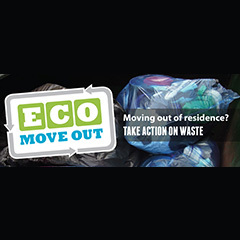 The partnership with the University of Alberta consists in the donation of clothing and household items to Goodwill from students that need to leave the residences for the summer. Most of these items will be donated immediately; however some will be stored, merchandised, and sold to incoming residents in August. This synergy allows the diversion of many items from the landfill while impacting in a positive way the lives of many Albertans with disabilities. All of our team members participate in a Sustainability education orientation, which includes information on reuse, recycling and good environmental practices. Updates and continuous training is available as we continue to learn and grow in our sustainability action plan and goals! The Sustainability Corner is a new concept in some of our Goodwill Stores, where donated items are transformed by Albertans with disabilities into new useful items of great quality that are diverted from the landfill. Some of the items that will be soon available in our Sustainability Corners are: glass vases art craft, cleaning cloths, repurposed crayons, and more. 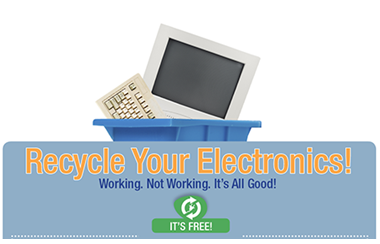 It’s a win-win for donors, Goodwill and the environment: old computers, laptops, printers, TV’s and monitors are reused through the sales at our stores or responsibly recycled – keeping items out of the waste stream entirely and supporting Goodwill’s job training and placement programs. Bring your electronics to the Edmonton Impact Centre and make a positive impact in your community and the environment. 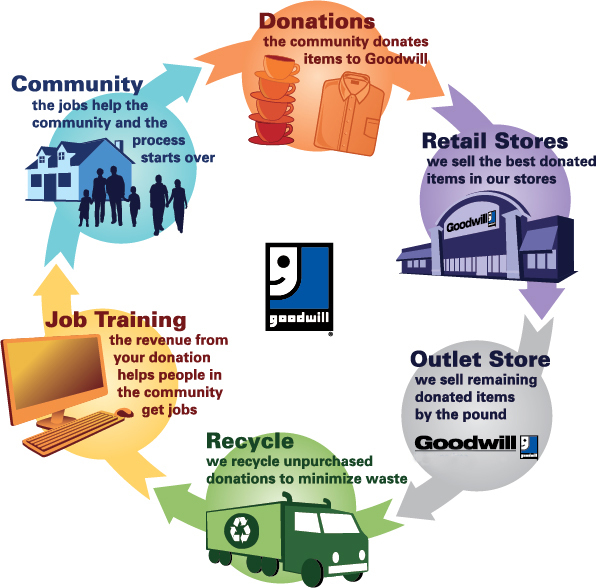 When you donate to Goodwill you are reducing your environmental footprint!!! Find the nearest donation location to you here.